The Jaguar E-Type – together with the Mercedes-Benz 300 SL Gullwing and Porsche 911 – is one of those few, instantly recognizable automotive shapes that truly deserves to be called an “icon.” Jaguar recently debuted what it considers to be the E-Type’s modern-day successor, the F-Type Coupe, which Jaguar design chief Ian Callum says, “returns Jaguar to its spiritual roots.” I recently caught up with Ian to chat about the essence of Jaguar design, and he also gave me a glimpse of what’s in store for Jags to come. (Note that a version of this interview appeared at CoolHunting.com). While capturing the crispness and sense of lightness of the 1961 Jaguar E-Type Coupe, the new Jaguar F-Type Coupe is very much its own idea rather than living in its spiritual predecessor’s shadow. How did you manage that? The F-Type Coupe is born out of the genuine values of Jaguar – beautiful lines, pure surfaces, exciting proportions, architecture that stimulates – addressed in a modern way. I’m fortunate enough to remember the days of the original E-Type quite clearly, I was about 10 years old, and it left a very strong impression on me and that’s why I always wanted to design Jags. Like the Jaguar Mark 2 and first XJ sedans, Jags of that era were not about tradition, they were about modernity, and performance, and about being cool; they were edgy cars. So recapturing that spirit isn’t about building a retrospective car – I’m happy to learn from the cars of Jag’s past, but not to repeat them. While the new Coupe’s interior includes leather, there’s no wood. Is a wood-trimmed Jaguar an outmoded idea? 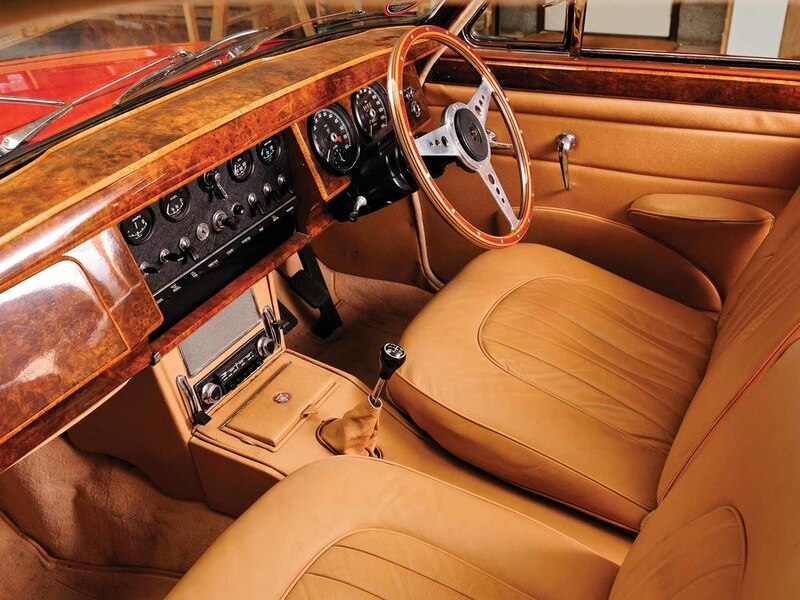 No, it’s not outmoded, and if you look at the present XJ you’ll see more wood than any other Jag of the past. But for a car like the F-Type, it’s not relevant to the intentions of the car. Wood is about luxury, and opulence; I wanted the F-Type to feel tactile and mechanical in a way that connects you to the car. That’s why many of the functions and switches have a snap and click when you use them, like in the classic Jaguar Mark 2. It's a bit like the captain flipping toggle switches on an airplane when running the flight check before take-off. 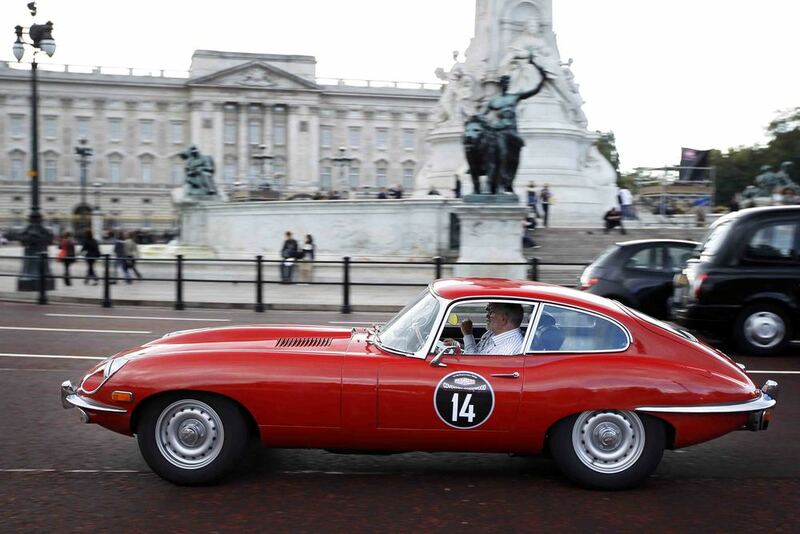 You’ve mentioned in the past that, even if you wanted to, it would be impossible to rebuild the E-Type today. Can you elaborate on that? There are a set of facts with any car nowadays – the laws of Washington, the laws of Brussels, the laws of physics – and it would be easier to change the laws of physics than the other two! Together with customer’s demands with larger cars with greater comfort, that’s what is causing the larger mass of modern vehicles. Would I like to take an inch out of the F-Type Coupe’s body section? Yes, that would be great, it might make the car feel even more elegant, but design is all about dealing with facts and you can’t fantasize “what if.” But you can have ambition to change the facts. Speaking hypothetically, if Jaguar were to produce the C-X17 SUV concept, then it would make a lot of people very happy. Well that’s good to hear, because SUVs are not an inherently beautiful shape – they’re too tall and clumsy – and you really have to work to pull the elegance out of it. It takes time to learn how to do it. If someone had said to me five years ago there would be a beautiful SUV, I’d have said no way. At end of the day, it has to look like a Jag, and I certainly think we’ve done that. Together with the potential of the C-X17 SUV, and confirmed plans for an upcoming smaller sedan, Jaguar is poised to increase its volume in coming years. Does that concern you? No, I believe we have an obligation to create motorcars that people want to buy, and for the company to survive, and for the workforce to make a living out of it. If Jag wants to be here in 20-30 years, then we need to increase volume, because we’re not the best business case at the moment. To help achieve this, we will introduce a new, smaller car, probably in a year or so, and I can assure you we’ll do it right – it will be a true Jaguar.